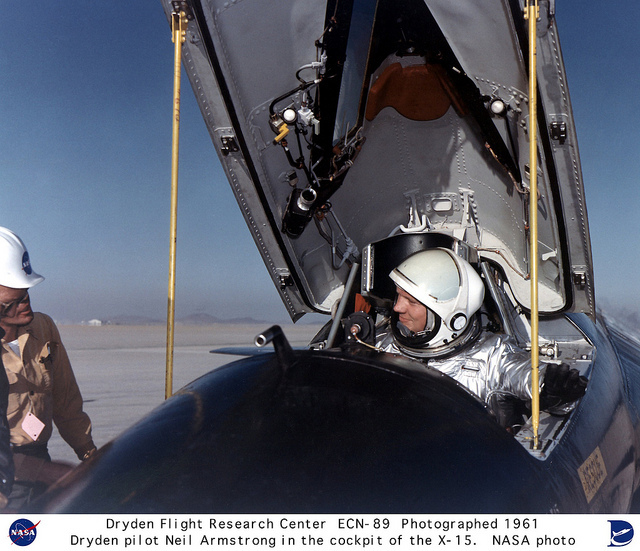 20 April 1962: “Neil’s Cross-Country.” NASA Research Test Pilot Neil Alden Armstrong conducts a flight to test the Minneapolis-Honeywell MH-96 flight control system installed in the third North American Aviation X-15, serial number 56-6672. 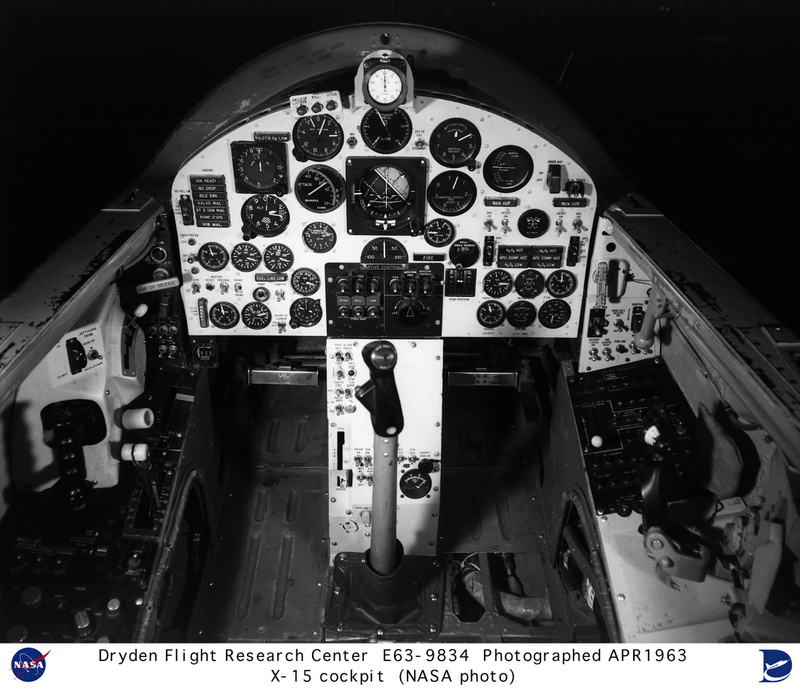 The new system combined both aerodynamic and reaction thruster flight controls in one hand controller rather than the two used in X-15s -670 and -671, simplifying the tasks for the pilot. On its fourth flight, -672 was air-dropped from the Boeing NB-52B Stratofortress drop ship, Balls 8, over Mud Lake, Nevada. 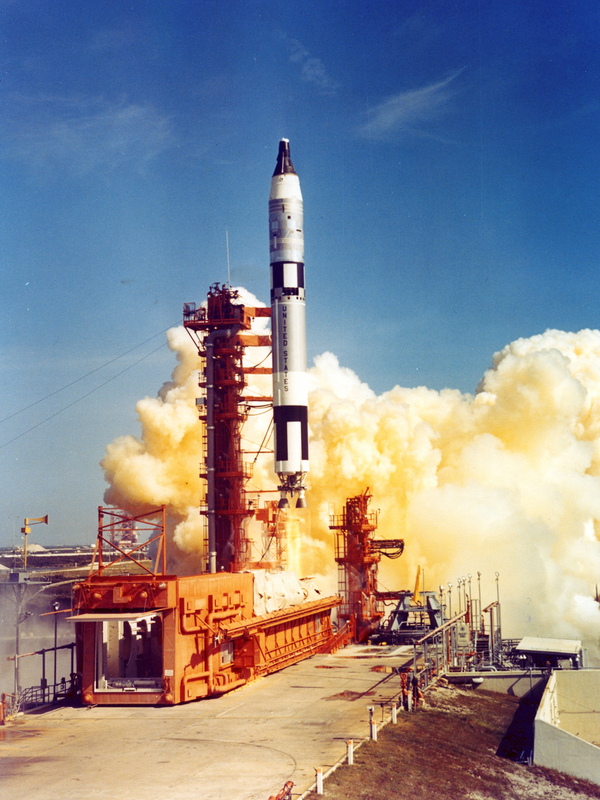 Armstrong fired the Reaction Motors XLR99-RM-1 engine and let it burn for 82.4 seconds. 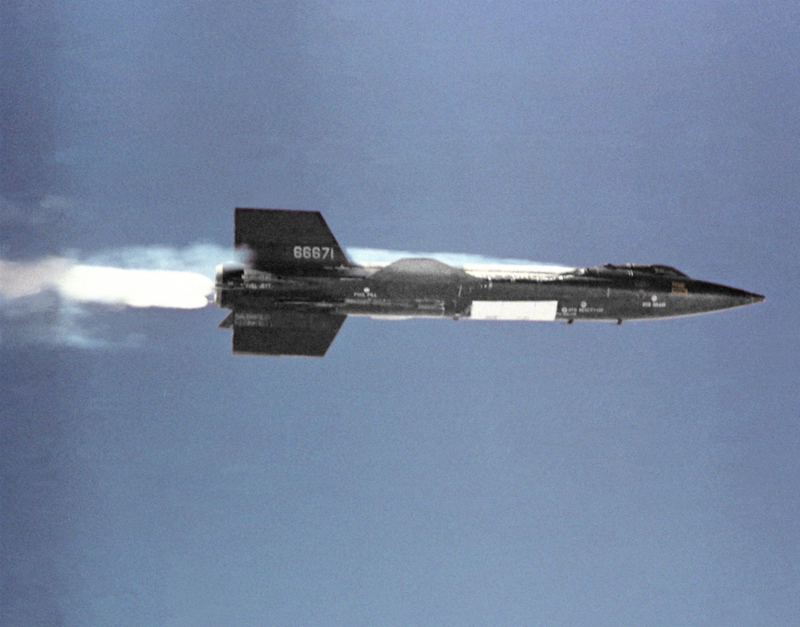 The X-15 accelerated to Mach 5.31 (3,789 miles per hour/6,098 kilometers per hour). 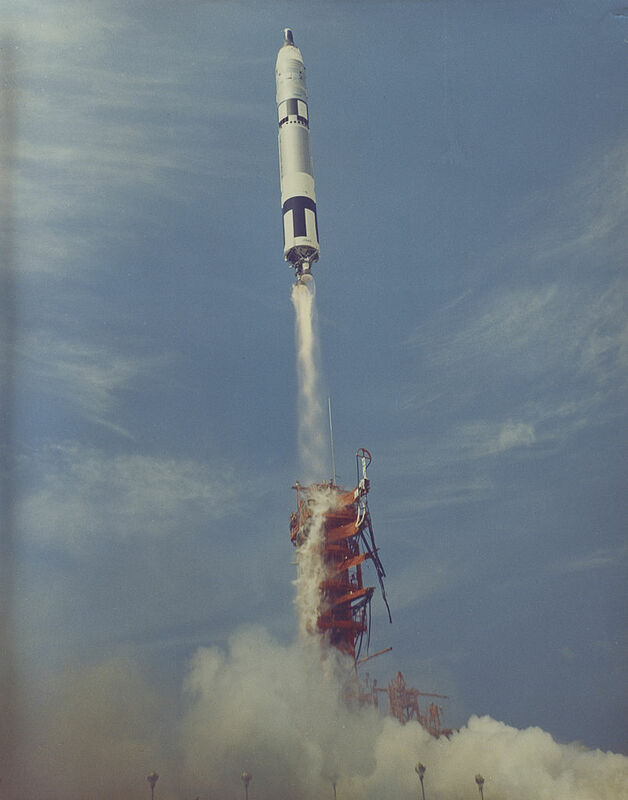 After the engine was shut down, the rocketplane continued to its peak altitude on a ballistic trajectory, reaching 207,500 feet (63,246 meters) before going over the top and beginning its descent back toward the atmosphere. 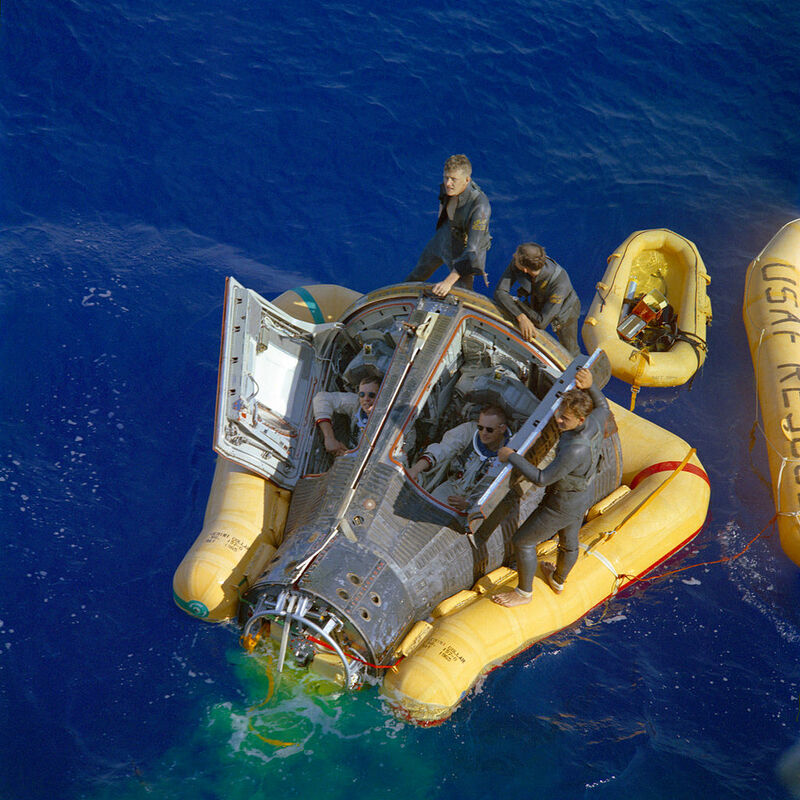 The test of the new flight control system went well. 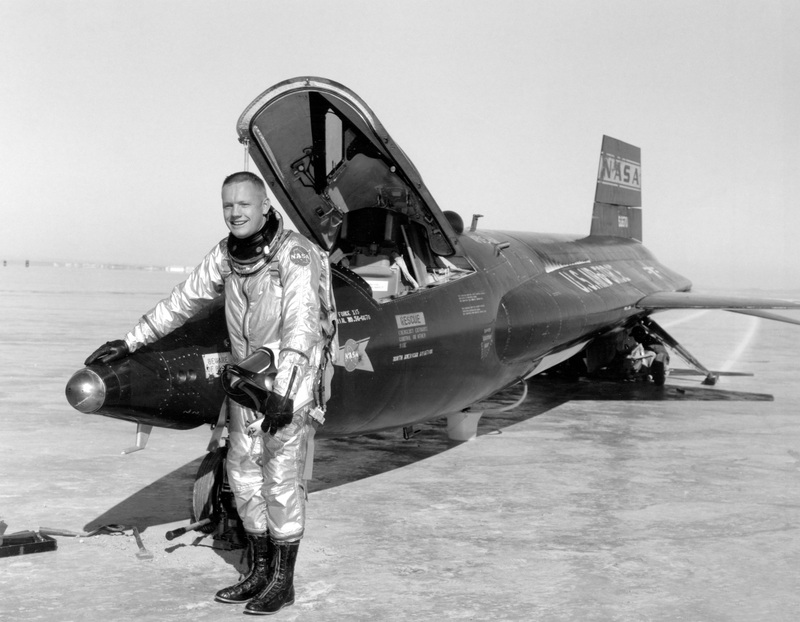 Neil Armstrong began to pull out of the descent at about 100,000 feet (30,480 meters), but the X-15 “ricocheted” off the top of the atmosphere and climbed back to 115,000 feet (35,052 meters) where the aerodynamic control surfaces could not function. 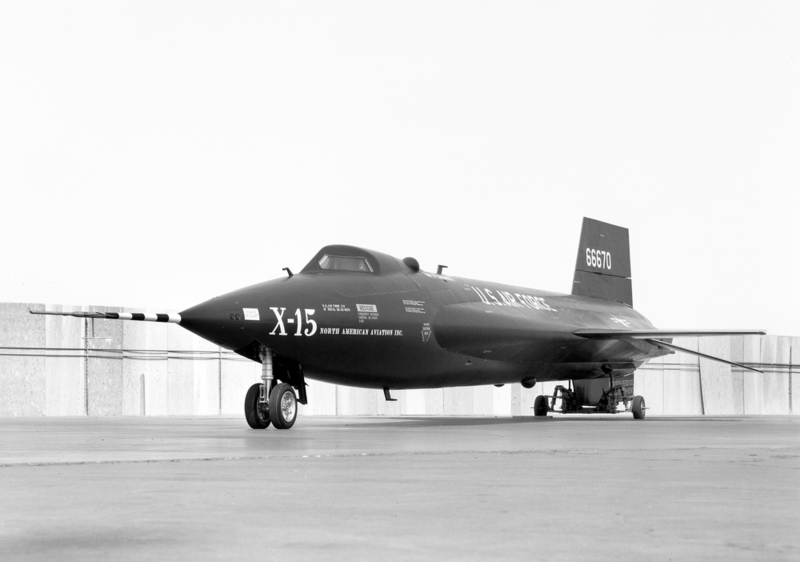 He used the reaction thrusters to turn toward the dry lake landing area at Edwards Air Force Base, but although the X-15 rolled into a left bank, it would not change direction and still in ballistic flight, went zooming by Edwards at Mach 3 and 100,000 feet in a 90° left bank. 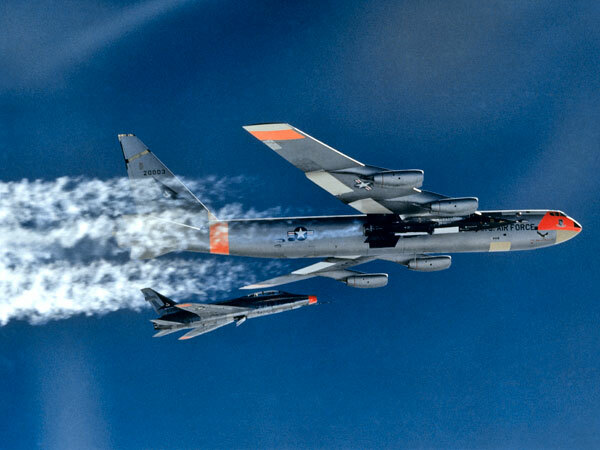 As the X-15 dropped back into the atmosphere, Armstrong was finally able to get it slowed down, but he was far south of his planned landing site. 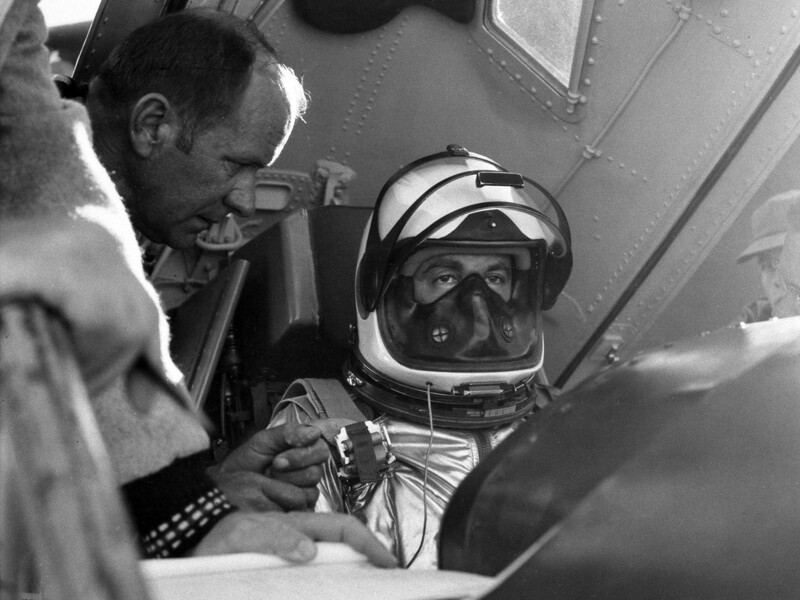 By the time he got -672 turned around he was 45 miles (72.4 kilometers) to the south, over the Rose Bowl in Pasadena, and gliding through 45,000 feet (13,716 meters). 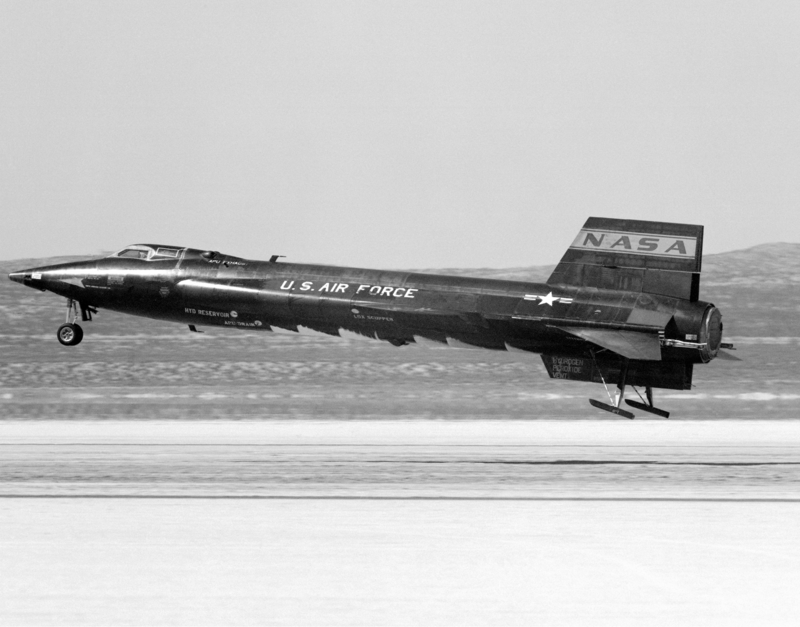 There was real doubt that he would be able to make the X-15 stretch its glide to reach the dry lake. 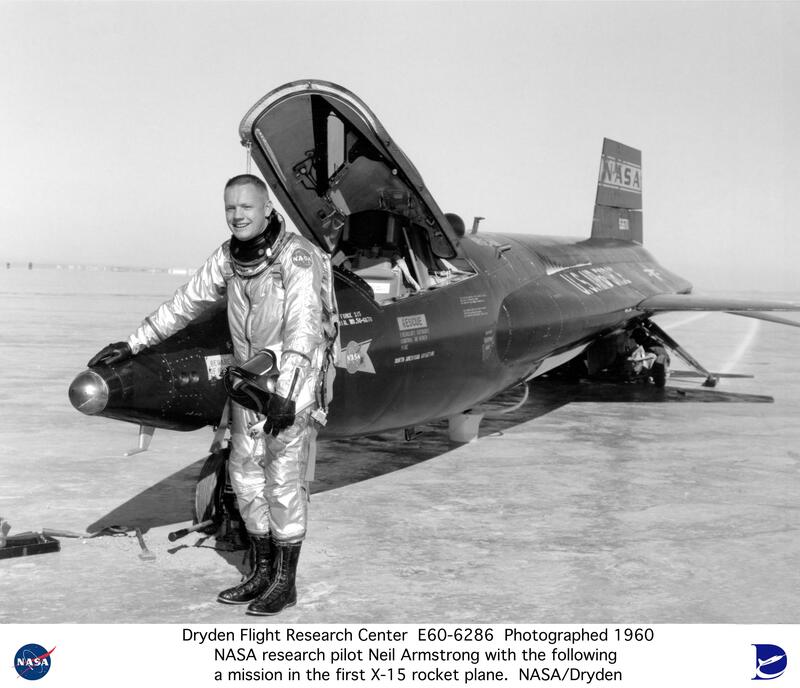 A U.S. Navy fighter pilot who flew 78 combat missions during the Korean War, Neil Armstrong became a civilian test pilot at NACA (National Advisory Committee on Aeronautics, the predecessor to NASA) in 1955. 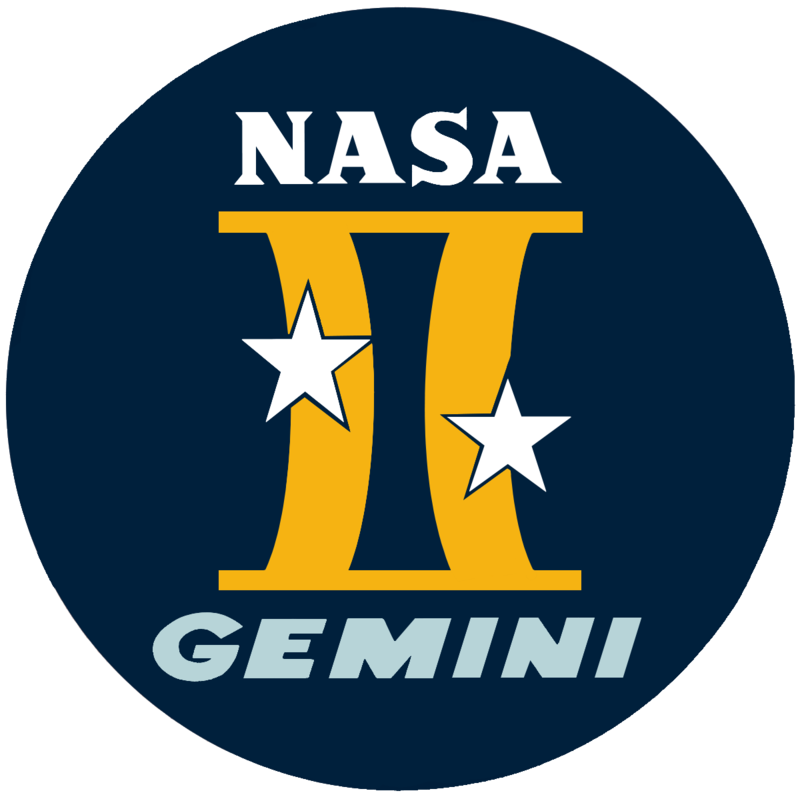 He made 7 flights in the X-15 before transferring to NASA’s Project Gemini in 1962. 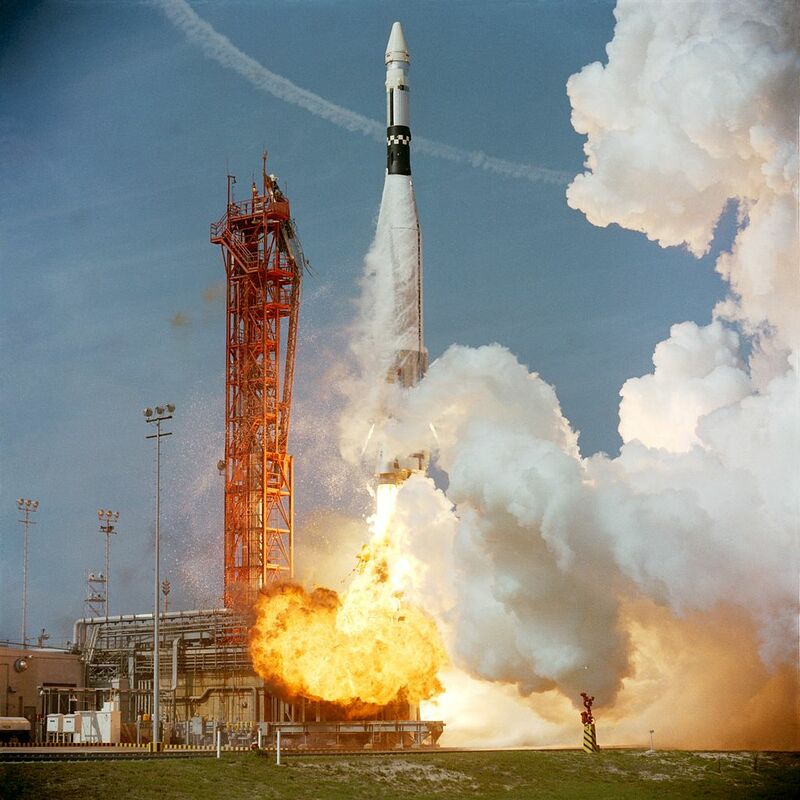 Armstrong was command pilot for Gemini 8 and Gemini 11, commander of the backup flight crew of the Apollo 8 mission, and was commander of Apollo 11. 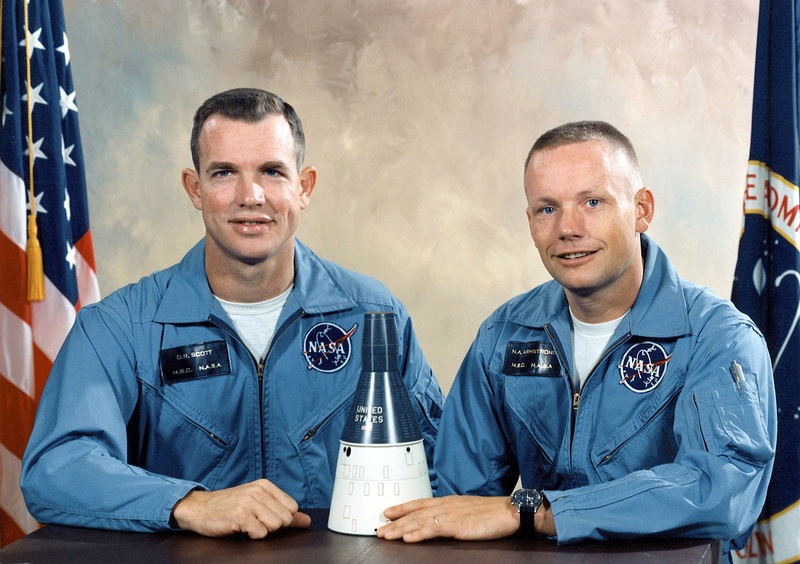 On 20 July 1969, Neil Alden Armstrong was the First Man To Stand on the Surface of The Moon. 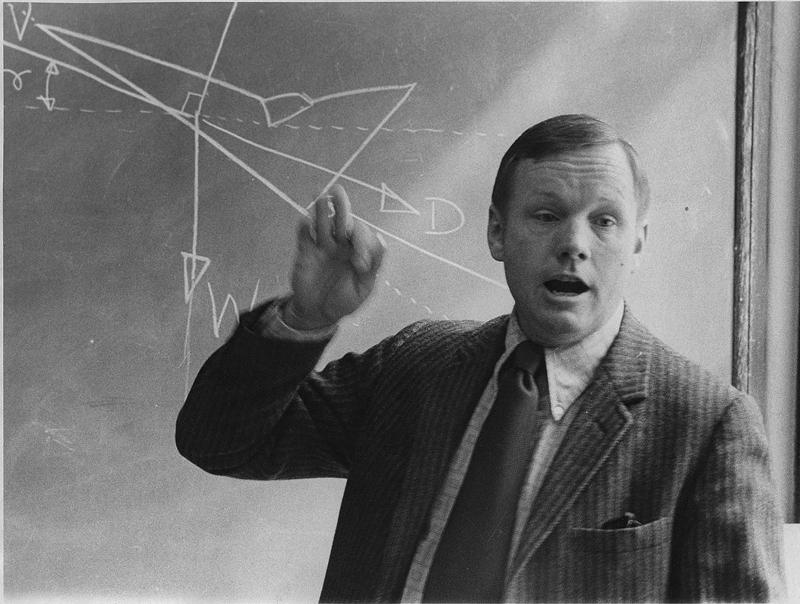 19–20 February 1979: Professor Neil Alden Armstrong of the University of Cincinnati College of Engineering, a member of the Board of Directors of Gates Learjet Corporation, former United States Navy fighter pilot, NACA/NASA research test pilot, Gemini and Apollo astronaut, and The First Man To Set Foot On The Moon, set five Fédération Aéronautique Internationale (FAI) and National Aeronautics Association class records for time to climb to an altitude and altitude while flying the prototype Learjet 28, serial number 28-001. 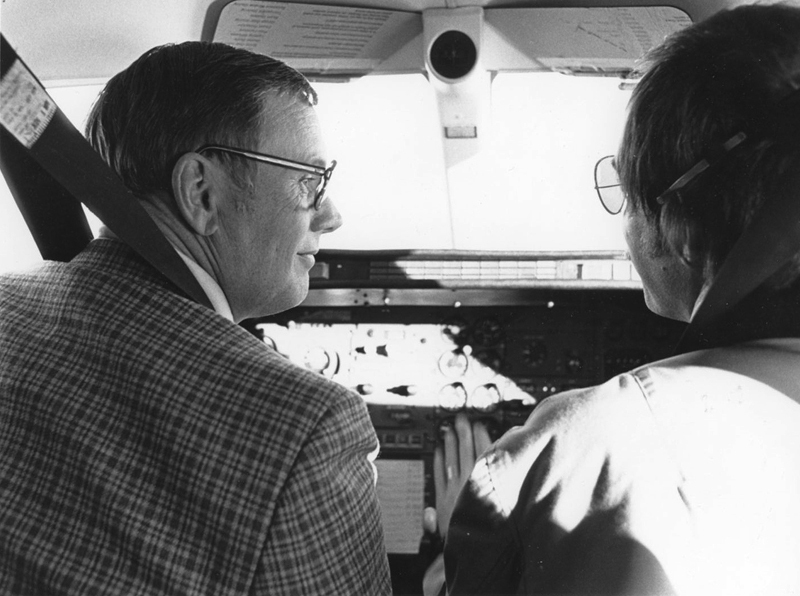 Professor Neil Armstrong and co-pilot Peter Reynolds in the cockpit of the record-setting Learjet 28. The Learjet 28 was a development of the Learjet 25 twin-engine business jet. 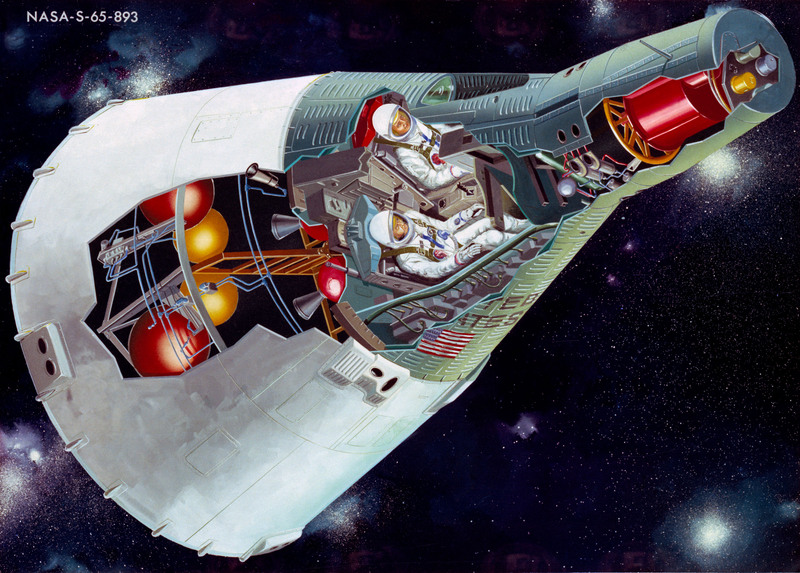 It is operated by two pilots and can carry 8 passengers. 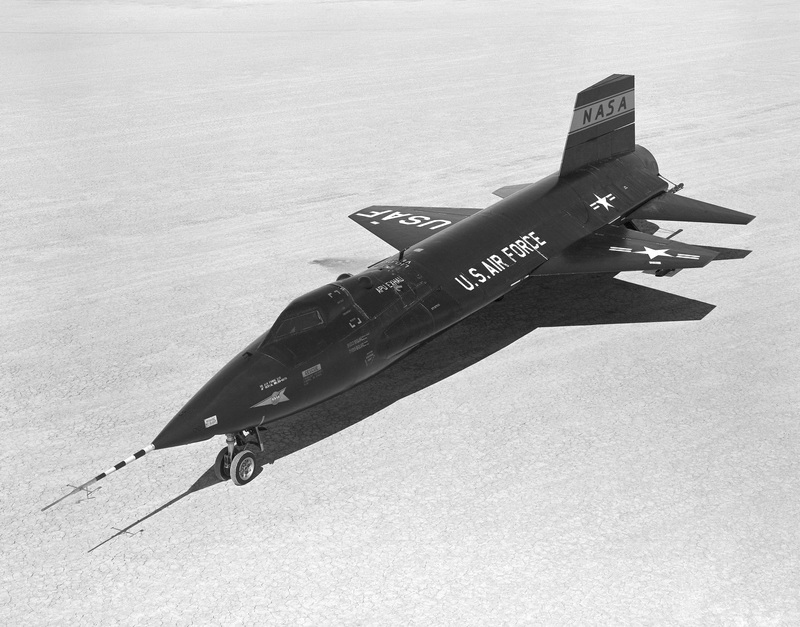 The Model 28 used a new wing design. 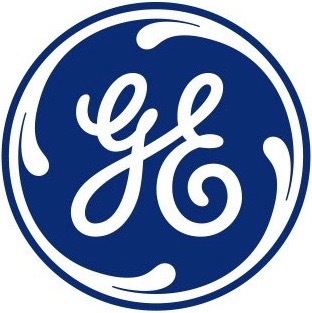 It was the first civil aircraft to be certified with winglets. 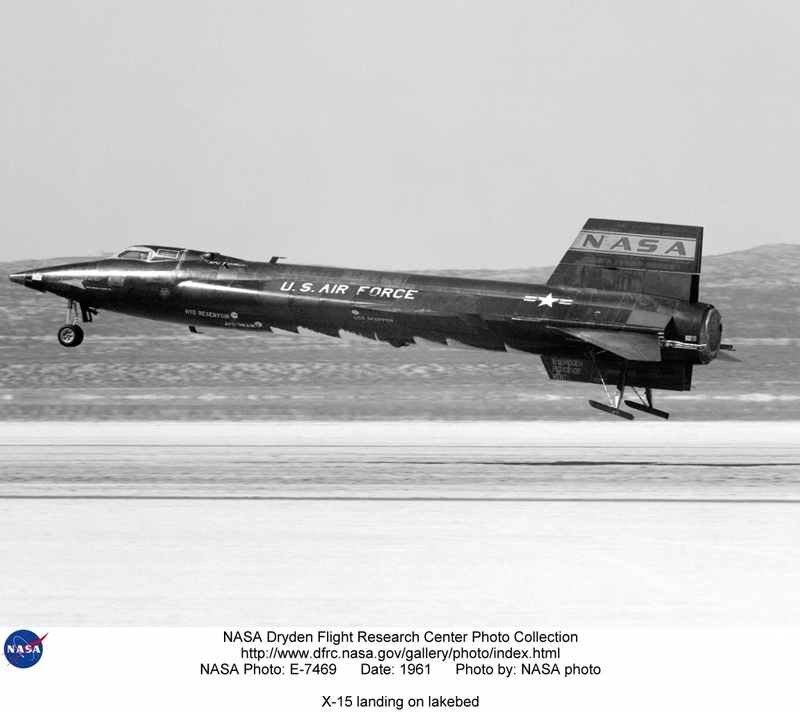 The prototype first flew 24 August 1977, and it received certification from the Federal Aviation Administration 29 July 1979. 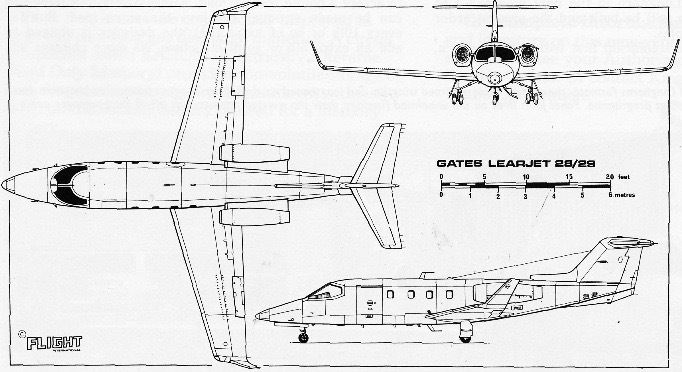 The Learjet 28 is 47 feet, 7.5 inches (14.516 meters) long with a wingspan of 43 feet, 9½ inches (13.348 meters) and overall height of 12 feet, 3 inches (3.734 meters). The wing area is 264.5 square feet (24.6 square meters) It has an empty weight of 7,895 pounds (3,581 kilograms) and maximum takeoff weight of 15,000 pounds (6,804 kilograms). The Learjet 28 is powered by two General Electric CJ610-8A turbojet engines. 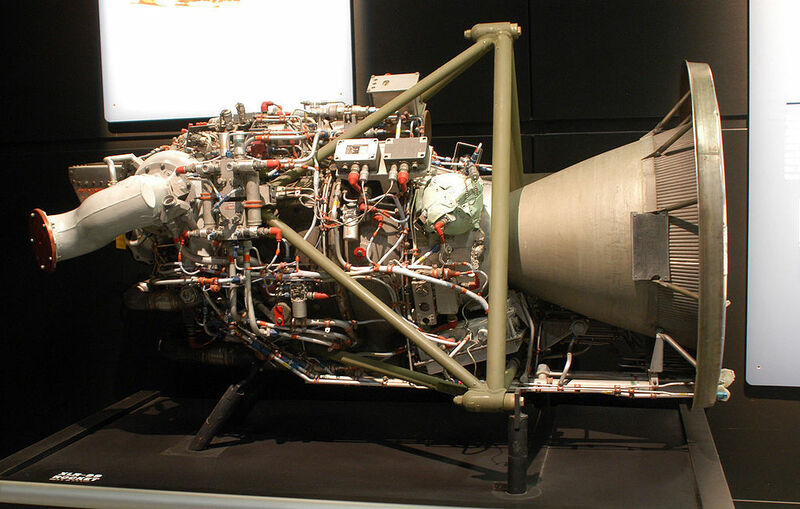 This is a single-shaft axial-flow turbojet, developed from the military J85. 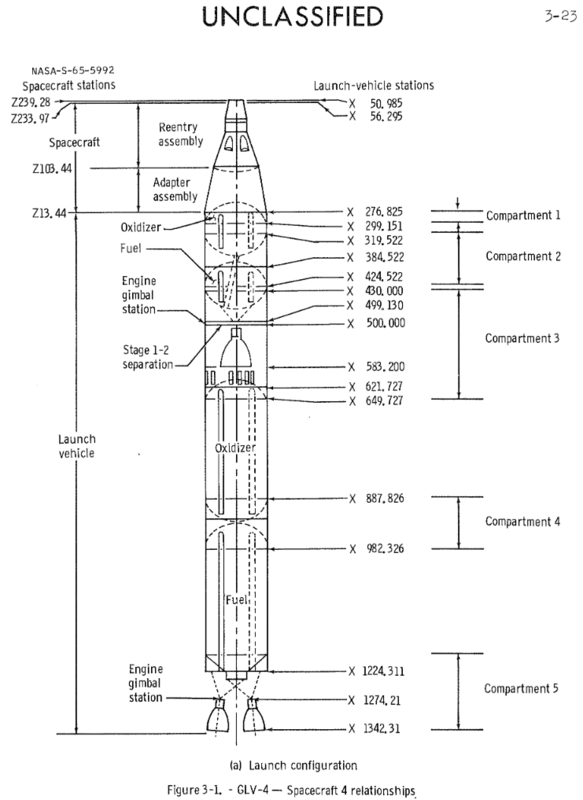 It has an 8-stage compressor section and 2-stage turbine. 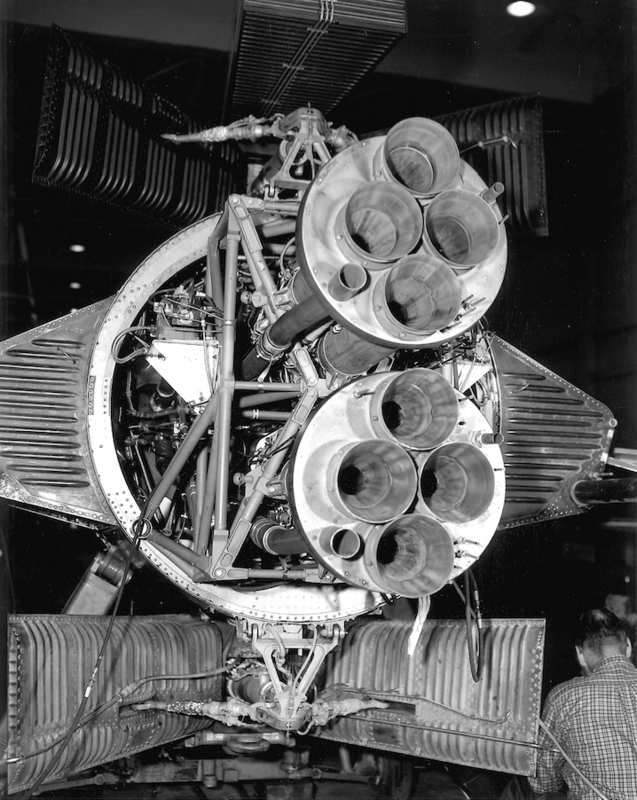 The CJ610-8A is rated at 2,850 pounds of thrust (12.68 kilonewtons) at 16,500 r.p.m., and 2,950 pounds (13.12 kilonewtons) at Sea Level, for takeoff (five minute limit). The business jet has a cruise speed of 464 knots (534 miles per hour (859 kilometers per hour) at 51,000 feet (15,544.8 meters). 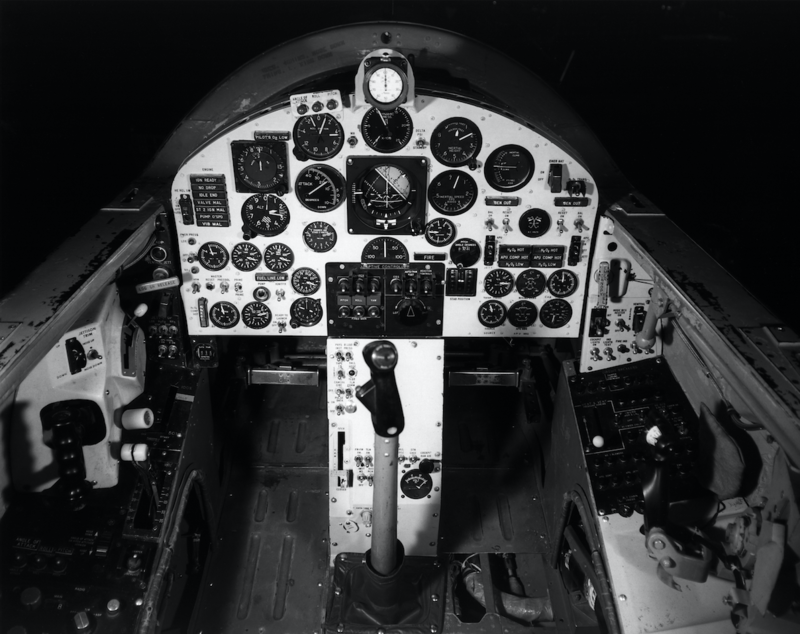 The Learjet 28 has a maximum range of 1,370 nautical miles (1,577 statute miles/2,537 kilometers). 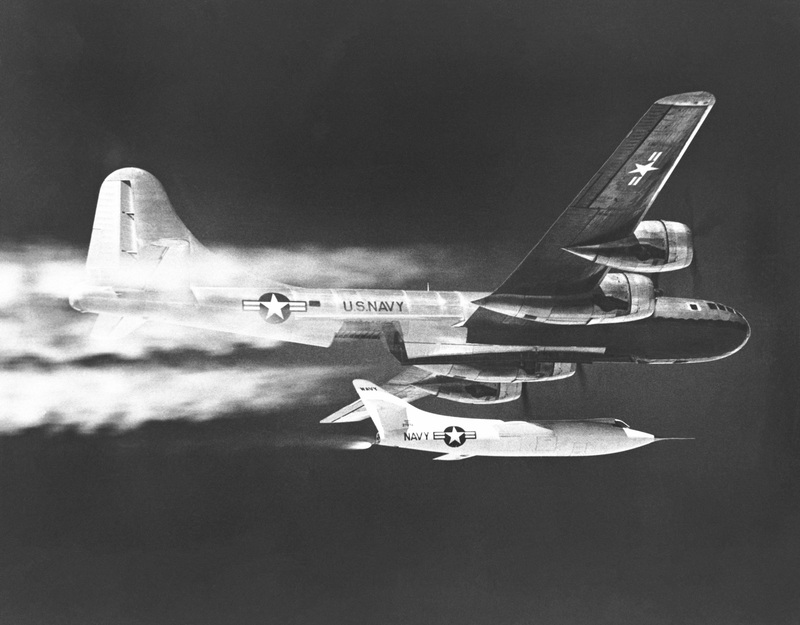 The airplane’s maximum operating altitude is 51,000 feet (15,545 meters), the same as the record altitude. 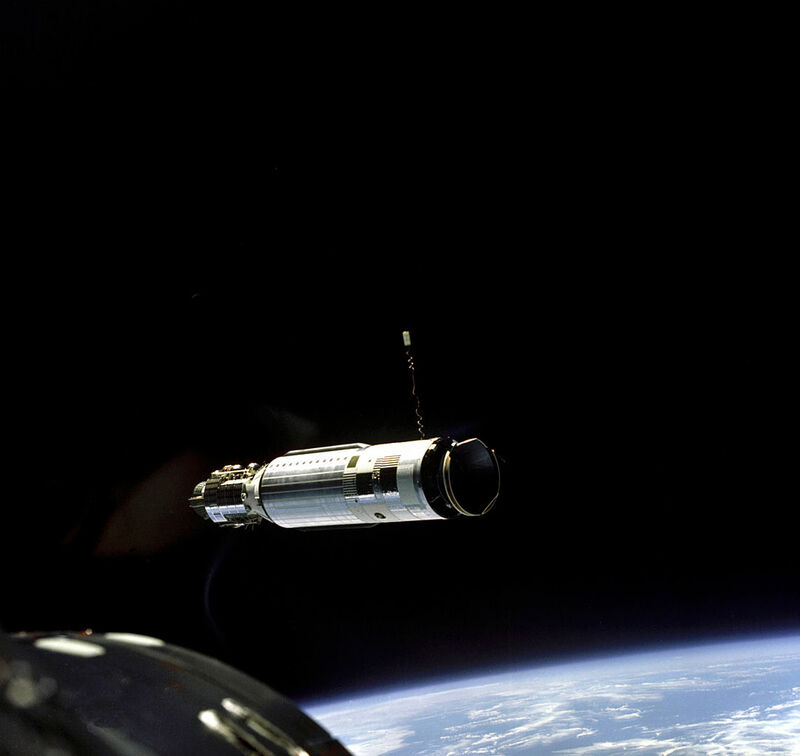 It can reach that altitude in less than 35 minutes. 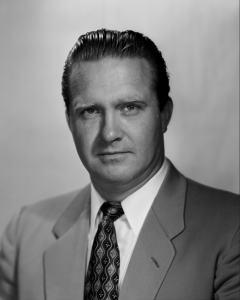 The aircraft was limited by its older technology turbojet engines, and only five Learjet 28s were built. 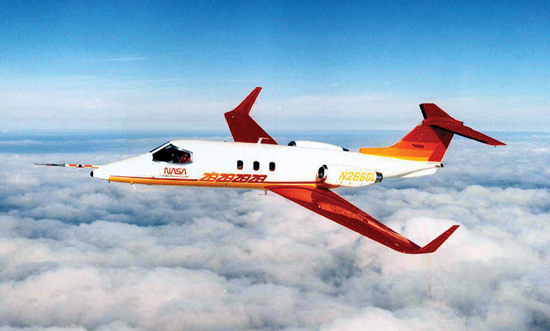 The first Learjet 28, serial number 28-001, has been re-registered several times. 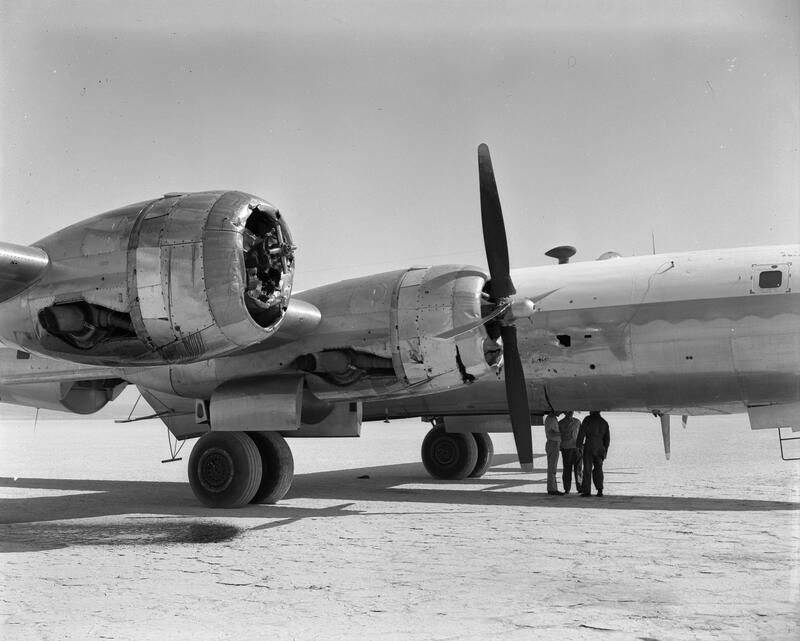 At the time of its FAI record-setting flights, it carried FAA registration N9RS. 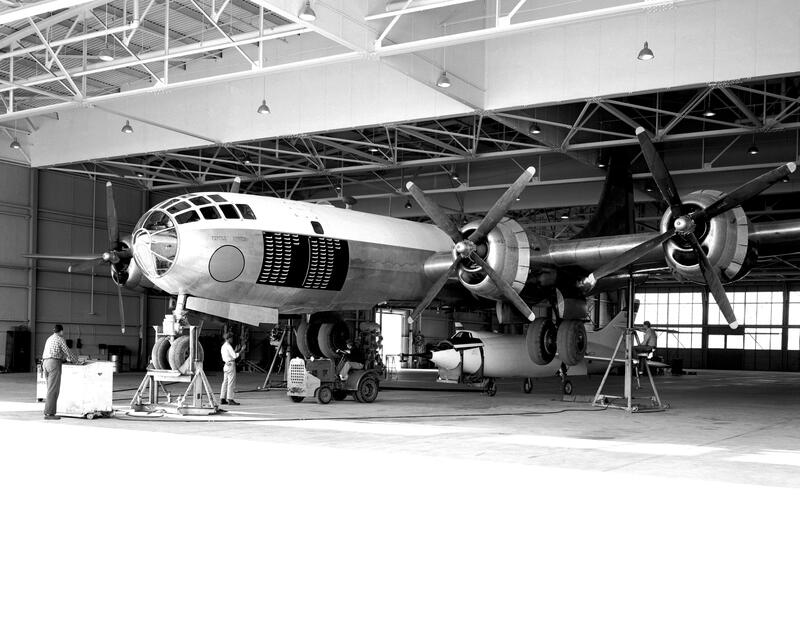 Later it was registered as N3AS. The most recent information shows it currently registered as N128LR. 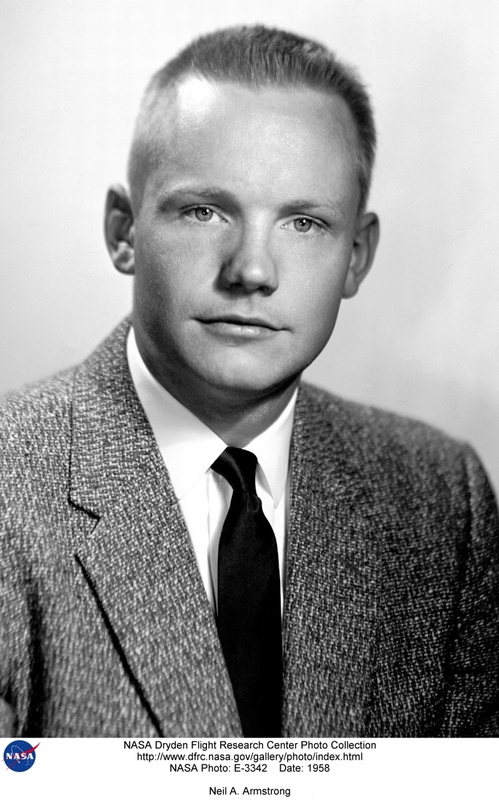 Neil Alden Armstrong, one of America’s most loved heroes, passed away 25 August 2012. 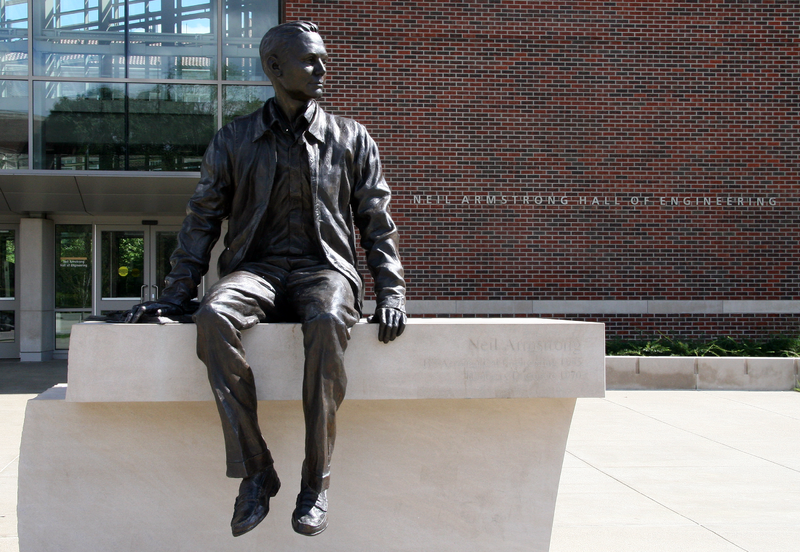 A bronze statue of Neil Alden Armstrong in front of the Hall of Engineering.